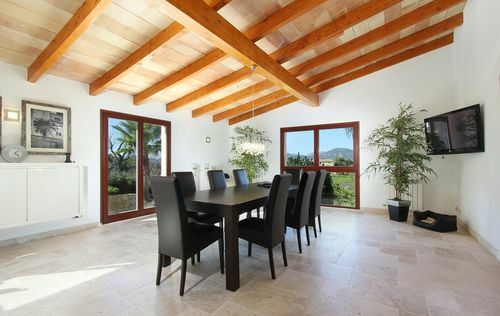 This idyllic residence of 66.400m2 is situated in the calm and picturesque village Calvia. The villa has a living space of 450m2, covered terraces of approx. 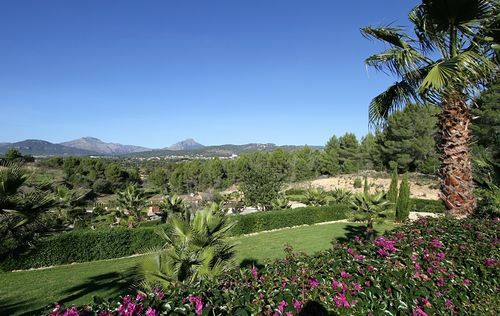 60m2, several open sun terraces, a fantastic pool area and a large subtropical garden. 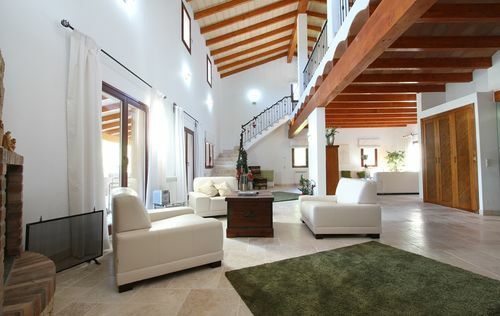 The living area of the villa is spread over three floors. On the entrance floor there is a very spacious living and dining room with open fireplace and terrace access, a fully equipped kitchen and the master bedroom with bath en suite. 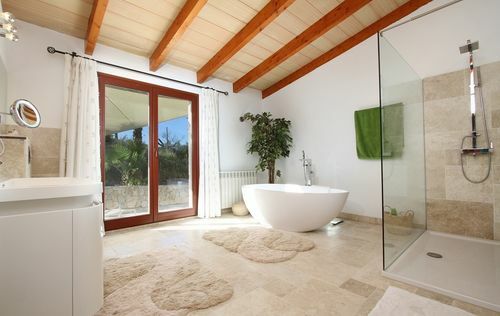 On the first floor there are two bedrooms, each of them equipped with a bath en suite and access to a generous terrace. On the basement there are four additional bedrooms, all of them are fitted with bath en suite. Furthermore there are a gym, a utility room and a large garage for at least five cars. 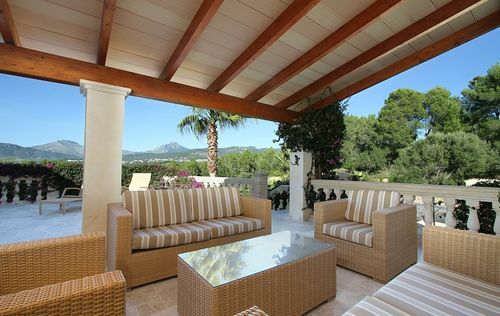 The features and fittings of the villa include reversible air condition, oil central heating, double glazed windows, underfloor heating, alarm, patio, Jacuzzi, barbecue area as well as a garden irrigation system.